“A los gerentes no les interesa el Clásico, les interesa sus equipos. Hay que hacer cambios. Imaginen una Copa Mundial sin Messi o sin Cristiano Ronaldo”. Muy cierta y sencilla la expresión de Moises Alou. El que fué grandes liga, hoy día Gerente General del Team Dominicana para el Clásico Mundial, en un aparte con la prensa quisqueyana testimonió eco del desaire que anda por doquier en especial en América Latina. Lo que meses atrás parecía una justa de ensueño se ha vuelto un desasosiego para los verdaderos amantes del deporte del guante y el bate. Y ní imaginarnos para gerentes generales y dirigentes en confeccionar un conjunto nacional con el apoyo menesteroso que han ofrecido los dueños de las 30 franquicias que componen las mayores. Entendido quienes van a estar presentes y se jugará con los que recibieron su permiso muchos de sangre latina tendrán los ojos puestos por cada asiduo beisbolero. De estas fechas a que termine la temporada hay un largo recorrer y todavía quedan muchos equipos con expectativas de post-temporada. Al presente nadie está seguro que puede ocurrir en cualquiera de los seis gallardetes y aunque pasó la fecha limite de canjes sín que los jugadores tengan que pasar por el proceso de ‘waivers’ ya se escuchan los murmullos y cuchicheos de nombres que pueden que cambien de uniformes. Rumores siempre son rumores y tal como pronosticamos que Jorge Cantu iria a parar a la franela de los Rangers de Texas algunos pueden ser realidad. El año pasado para estas fechas en nuestra bola de cristal la pegamos que Alexis Rios seria trasladado de conjunto por los Azulejos de Toronto y de suerte también el traslado de Vicente Padilla a los Dodgers de Los Angeles. Sí bien no falla la memoria tambien fue para esta época el año pasado que despues fueron canjeados jugadores entre otros Ivan “Pudge” Rodríguez y Alex González. Esta campaña 2010 estos son los latinoamericanos entiendo podrian estar vistiendo un diferente uniforme de aquí a finales de septiembre. Recuerden rumores son rumores pero estos son jugadores que pueden ser de gran ayuda o empuje en busqueda de un posible campeonato. Fantasia o realidad está por verse. El tiempo nos dirá. Una temporada más en una nueva década y 29 conjuntos con las ansias de destronar a los Yankees de Nueva York que andarán buscando su titulo 28 en su historia. La campaña es larga pero ahora la mirilla está en el arranque en el mes de abril y todos los seguidores beisboleros de América Latina están pendientes a los suyos. Esta temporada calculamos llegará el número de latinos a un 24 por ciento en los rosters finales y estos son los que proyectamos serán las caras regulares, lanzadores en sus rotaciones abridoras y cerradores en esta venidera campaña 2010. Next time Torii Hunter not only should have a better choice of words but also his facts right. The Angel outfielder should know that the latest sensation to come from Latin America Cuban left-handed Aroldis Chapman was signed to a 6-year, $30 million deal by the Cincinnati Reds. Again he should ask his fellow Angels Latino teammates whom Arte Moreno is not paying them in corn or potato chips. As of the end of 2009, seven of the best 10 paid players in the Majors according to a report from The Associated Press are Latinos. 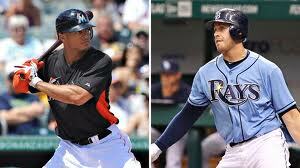 Just for the facts, these are the best 10 Latino Players paid in Major League Baseball. Hunter should know some history too. Among the top 25 Major League Baseball players who have earned over $100 million total salary over their career through the end of 2009, not including bonuses, 10 are Latinos. The earnings definitely are not “bag of chips”. Carlos Delgado: A Florida Marlins Again ? Spring training is around the corner and still many well-known names are looking for employment. One of them is Carlos Delgado. With only two weeks left Delgado is starting to wonder if he will have one more chance to play in a big league diamond. 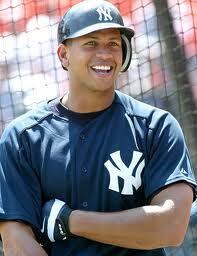 The 37 year-old veteran is pondering if he will get one more opportunity to reach the 500 home run career mark. 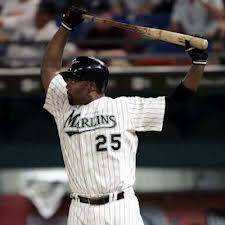 His only 27 homers shy of the 500 homers club plateau that will give him a chance to be consider hall-of-fame bound. Probably the Florida Marlins will give him that opportunity. According to a The Miami Herald report, the Marlins are considering Delgado as a much needed left-handed batter coming from the bench and as the same time to play occasionally first base. The Marlins lost valuable utility-man Ross Gload to its East Division nemesis the Philadelphia Phillies this past winter. The 17-season slugger fits both jobs but they are lingering questions. The two-time All-Star missed most of the 2009 season because of a hip surgery. Delgado in 26 games hit .298 with 4 homers and 23 RBI’s for the New York Mets. The slugger also according to published reports from various Puerto Rico newspapers is looking to make big money. Furthermore, it has to be seen how Delgado and Marlins top brass will get to an understanding. Last time Delgado played for Florida the story did not end a happy one. Delgado in 2005 signed as a free agent with the Marlins to a $52 million- 4 year contract however the season that was supposed to be one to defend its World Series title turn to be an underachieving and sour one for the Fish. As the Marlins financial storyline is well known in major league baseball, notwithstanding, Delgado hit .301, 33 homers and 115 RBI’s and finished sixth for the National League MVP award he was traded that 2005 winter to the Mets for cash and prospects being the main player Mike Jacobs who is looking for a job nowadays too. Nonetheless, for Delgado this is not 2005. This is 2010. As of the moment, the only other franchise that has express interest in Delgado is also a former team, the Toronto Blue Jays. Delgado to show his healthy he played eight games of winter ball in Puerto Rico with the Gigantes de Carolina, hitting .280 with a homer and 2 RBI’s. According to the same published reports from Puerto Rico, Delgado may opt to retire if he does not receive an adequate offer to play next season. If he will become a Marlin again, time will tell. He was so right that’s why he is considered by the majority of baseball historians as the greatest hitter ever to have played in the majors. Years ago, I had the opportunity to meet him at an activity at the Ted Williams Museum Hitter Hall of Fame, which in those days was located in Hernando (Florida)–nowadays the museum is located at Tropicana Field in St. Petersburg–and I asked him about his own book Ted Williams’ Hit List . In the book, he wrote about who in his opinion were the greatest 20 hitters of all time in Major League Baseball. In the list, there are the names of Babe Ruth, Lou Gehrig, Rogers Hornsby, Jimmie Foxx, and Joe DiMaggio. Also in his top-20 are Hank Aaron, Willie Mays, Frank Robinson, Mickey Mantle, and Stan Musial. In the list also appear 10 other great ballplayers but no Latinos. Williams told me about his hitting philosophy and selection but he also told me that if he would have made a top all-time Latino hitter list at that moment only six names would appear. On the top of his head, he said with no hesitation his No. 1 would be Roberto Clemente. Thereafter, in no specific order, would be Rod Carew, Roberto Alomar, Alex Rodriguez, Edgar Martinez, and Manny Ramirez.